Retired and exploring North America. Parked at another friends in Sodus, NY. First hint of snow when I woke up that morning. 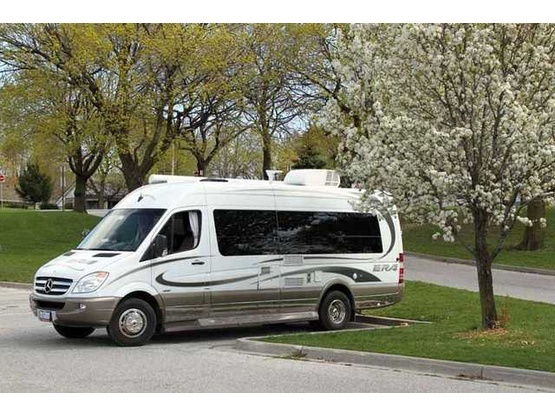 Winnebago ERA, looking front to back. 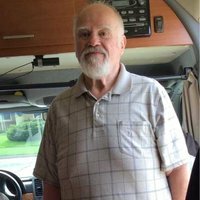 I am retired police officer who served 35 years in the Niagara Region. 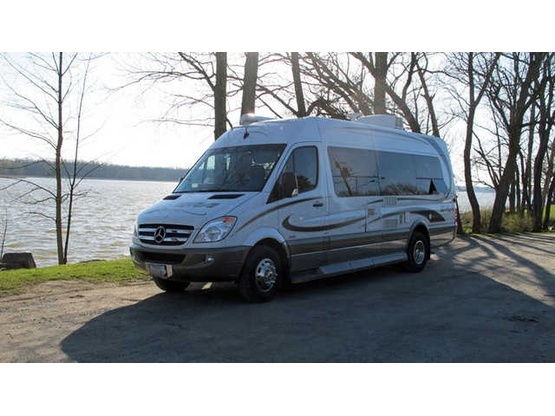 I purchased my Winnebago ERA in November of 2011 and am exploring and documenting my travels around North American with pictures. After starting to read Marianne's book I realize that I too am a "shunpiker"!! Who would have thought?? I love to travel all the back roads and country roads and more than once have found myself at a dead end. Especially in Maine where some of the smaller fishing village are. I am on my own now and look forward to meeting other travellers who enjoy exploring and travelling around North America. Comfortable around a computer (both MAC & PC) and am passionate about photography. I have three DSLR cameras and one "point & shoot" ... along with an assortment of camera lenses and related gear. Pretty good with Photoshop CS5 and Photoshop Elements. Recently I have transitioned to using my iPhone 7 Plus for my go to camera. The technology has improved so much in the past few years. I have it with me all the time and is certainly less cumbersome that carry around a 20 pound camera bag with all the cameras and lenses. I have been travelling for a six years now. Most of my overnight stays have been in Walmart, church parking lots and a few RV dealer's lots, not to mention friends. AND. since becoming a member of BDW I have had the pleasure to both host and stay at member's locations. I'm from down east originally. Halifax, Nova Scotia. I have lived in Niagara Falls, Ontario since the mid 1950's. 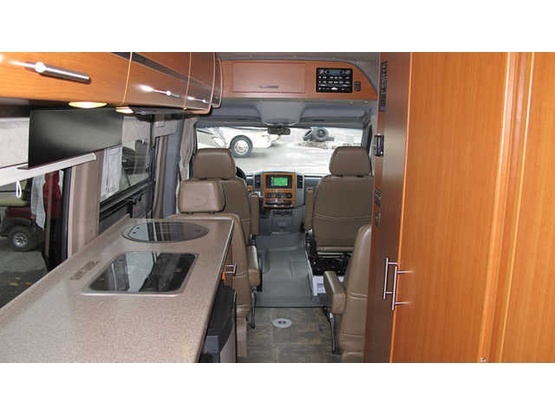 2012 Winnebago Era which is on the Mercedes/Sprinter chassis. 24 feet long; 10 feet high and 6 1/2 feet wide. We enjoyed a pleasant stay near the falls. Our hosts was very gracious and allowed us to hook up to electric and fill our water tank. He had a lot of visitor information for the area, and was a wealth of information on things to do. We enjoyed being able to visit with him for a while and learn about the area. We couldn't have ask for a better time or better place while exploring Niagara Falls. Where do I start? Karsty is the best of the best when it comes to being a host for weary travelers. He supplied us with all our needs and gave us great information about the area and all it had to offer. It was like having your own private tour guide! So glad we were able to stay as Hurricane Florence was approaching our home. We were within walking distance of the WEGO transit system. So enjoyed our stay and hope he will come to visit us one day so we can return the favor. Karsten was an incredible host! It was our first time with Boondockers Welcome and we had such a great time that we want to continue using BW. The only problem is that Karsty set the bar so high that the next experience can't possibly be as positive. Fabulous visit and wonderful new friend! Karsty is a wonderful host and we enjoyed our visit immensely. His place is quiet, safe, and super convenient to public transportation (the WeGo bus), grocery store and many restaurants. Many thanks we hope to visit again to see more of this interesting and historical area. Great host and friendly neighbourhood near the falls! Karsty was a friendly host and very welcoming. It was great chatting to him about our trips, Canada and his tips for the local area. We would definitely recommend Karsty's for anyone looking to stay in the Niagara area. This friendly man welcomed us in his house (with a nice collection of Norwegian trolls 😎) and told us some great stories. He has a collection of touristic folders that are helpful planning your visit to the Niagara Falls. Within walking distance (5min) the WEGO bus takes you right to the falls. You can buy a pass for the bus at the Travelodge a little walk further on. Good place to stay when visiting the (Canadian side of the) Niagara Falls. Karsty was nice & welcoming. Thank you so much. We had an exceptional stay at your place. Enjoyed very much chatting with you. And thanks for the hints. Thank you Karsten for the nice and quiet stay and good conversation! We were more than welcomed at Karsty's home. He was so nice and helpful, giving us a lot of references for activities and restaurants nearby Niagara. He also took time to help us with our AC unit. We do not hesitate to highly recommend this site and this wonderful host. We stayed two nights with Karsty and our experience was like previous Boondockers. Besides his wonderful hospitality, knowledge and touring hints, Karsty also gave me some authentic Ontario buttertarts because I love them! 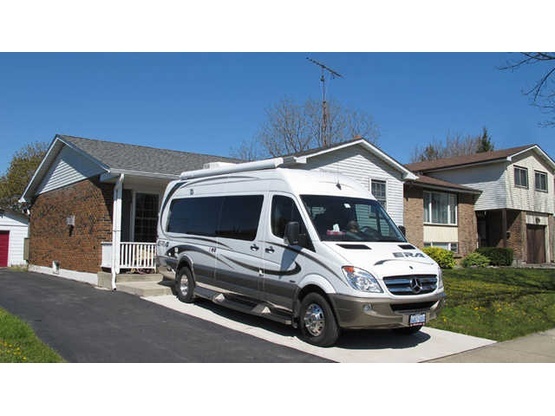 The WEGO bus is perfect as it will take you everywhere you'll want to go in Niagara Falls and there is a grocery store conveniently across the street from his house. Thanks! We had a couple of great nights with Karsty in Niagara falls. Not only did he welcome us with open arms, give us tips on local events, but also invited us for a night time drive to the falls, where he dropped us off and picked us up, so we could enjoy the Fireworks. We enjoyed our chats and exchange of experiences, and I have only good things to say! Highly recommended as a host, and would love to reciprocate out here on the West Coast one day! Karsty was very accommodating and let us stay with him with very little notice. He is a warm and friendly guy with a lot of interesting things to talk about. His driveway is easy to back into and he provided electricity and water for us. He stays very close to the falls which was convenient too. Great Host In The Falls! Karsty is a great, warm welcoming host. We stayed just one night, we are from Barrie but purchased our RPOD from Niagara Trailers, it was back at the dealers for some warranty work, we were picking it back up after it was there for a week, thought we would make a night of it in the Falls. Karsty greeted us, showed us where the hook ups were etc. and we got settled in. He isn't too far from the tourist area, if you don't have a car there is transit. We went for dinner at the Fallsview Casino Buffet (note if you have children under 19 they can't attend) pretty good meal for around $20 if you have a PAC card from the casino (free) you also get free parking ($30 value when we were there) when you eat at the buffet with a PAC card. Karsty's street is pretty quiet, we didn't hear much of anything, all in all a great place to "boondock" if you are passing through. Thank You Karsty! We had the privilege of staying at Kartsy's place for only one night, but it was a wonderful experience. He is incredibly kind, welcoming and very knowledgeable. He gave us more suggestions and recommendations in the Niagara area than we could hope to see in one afternoon (or several days for that matter, if we had had them). 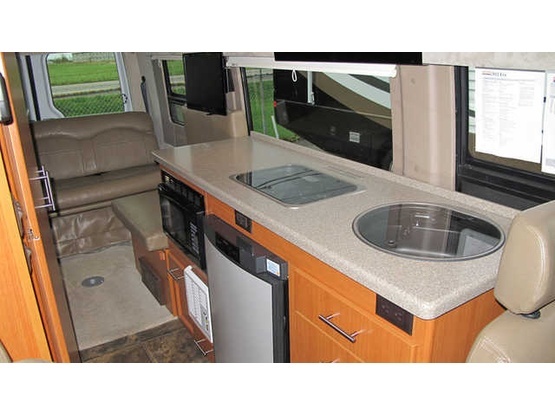 He has an incredible location for ease of access when you want to do things and quietness for when you want to rest. He's a fantastic communicator and full of good humor. Thank you so much, Karsty! You are a gentleman and a scholar! :) Happy trails! Karsten made staying at his place so easy, welcoming, informative, and helpful. We arrived on a rainy evening, got set up, visited awhile, walked to the nearby grocery store for dinner fixings, then spent time perusing all the pamphlets and info Karsten provided us. He is just blocks from the bus line that takes you right to the Niagara Falls sights, and getting around without a car was a breeze. Karsten had some free time the following day and offered to show us around nearby sights - Niagara on the Lake, the Wellind (sp?) Canal, and other historic sights in between. We gladly took him up on his offer, and saw things we would never have seen otherwise. Thank you, Karsten, and we're (along with Jill and Thayer) counting on seeing you in the PNW! We were recommended to contact Karsty by fellow Boondockers. We were not disappointed. Karsty made us so welcome and was great company. He gave us lots of helpful info making it easy to visit all the local attractions at Niagara Falls. We shared a meal, exchanged travel stories and life experiences. Karsty is yet another Boondocker who set the hospitality bar extremely high . 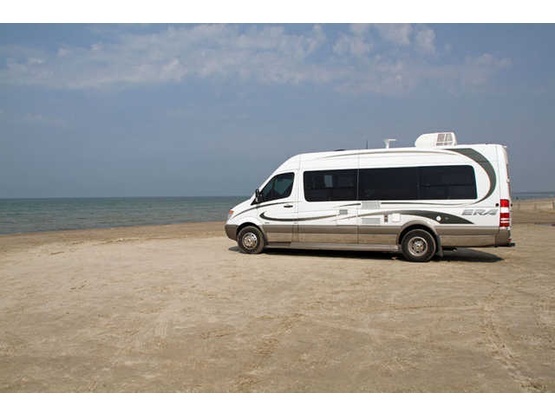 We stayed in a 26' motorhome. Spent a quiet night in Niagara Falls on Karsten's driveway. Unfortunately we did not spend a lot of time with him as we arrived in the evening to say hello and then left to catch the fireworks at the Falls. By the time we returned, it was already bedtime. But in that short visit, he spent some time with us and was able to offer tourist tips from a long time resident of the area. Greatly appreciated the opportunity to boondock in a very popular destination. 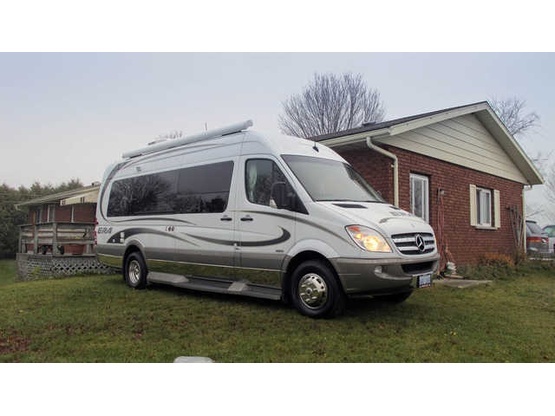 Our Roadtrek tucked in nicely along the driveway beside his home. Hope to drop by again to spend more time with Karsten! It was our first experience with a RV and we luckly found Karsten! he makes you feel at home, provide you a nice place, lots of information and flyer, and help you very kindly. He's a great person! hope to see you in italy! Good nights at Karsty's place! Wow, thank you so much Karsty! He's a considerate and generous host. He's helped to make our stay wonderful in Niagara's area. A welcome respite in Niagara Falls. Linda and I spent a pleasant night at Karsten's place in Downtown Niagara Falls in the fall of 2013. Karsten made us feel welcome and comfortable, and provided us with great info for exploring Beautiful Niagara Falls. Enjoyed my night at Karsty's. Makes you feel that he is happy you came. His location is GREAT! We boondockers are lucky to have him in our group. Karsty was a wonderful host! He had brochures, maps and advice for the best way to enjoy Niagara. He took us sightseeing one day and delivered a forgotten camera and shirt. He was awesome! We had a great stopover with Karsty. Very nice man who was happy to share his excellent local knowledge of the Falls and surrounding area. 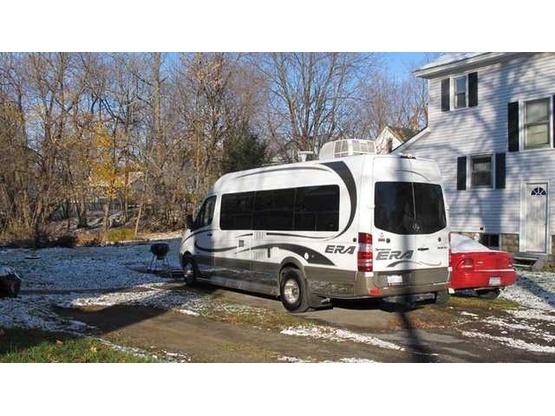 Karsty's driveway was just right for our class b motor home. He went out of his way to help get my computer on-line and had an abundance of information for us about Niagara Falls. Quite neighborhood, very convenient. If we are ever back this way we'll surely look him up as Niagara Falls is a whole lot more than the Falls. We stayed with Karsty one night when we were passing though town and he was really welcoming and had lots of good info about niagara falls. Karsty is a wonderful host and very helpful, safe and quiet neighbourhood, we enjoyed the Falls and Karsty’s place.